Need an oil change service? Now is a great time to come in for more than an oil change with Jiffy Lube. Get the chance to go miles above and beyond with an AIR MILES® feature offer. Earn up to 6x the AIR MILES® during your next visit to a nearby Jiffy Lube® for the expert preventative maintenance your vehicle needs. Then get ready even sooner than you expect for your next adventure. 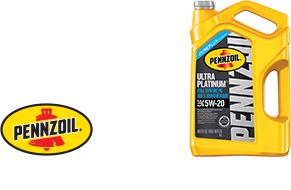 Purchase a qualifying Pennzoil® or Shell ROTELLA® oil change at a participating Jiffy Lube® location. Show us your active AIR MILES® Collector Account to get up to 6x AIR MILES® Reward Miles for every $20 spent. Don’t have an AIR MILES® account? Visit www.airmiles.ca/enroll and sign up. Please note you cannot combine this offer with any other Jiffy Lube® promotions. We do more than change oil at Jiffy Lube®. We’re preventive maintenance experts. We were the nation’s first ASE accredited training provider in the quick lube industry. Jiffy Lube® has access to manufacturer recommendations for all vehicle makes and models and even keep customer’s service records on file in our nationwide database. No matter where you are, know that Jiffy Lube® understands your vehicle needs. Check out all the locations, or search for your city below.